For use on 1969 Camaro This is a new cigarette lighter pull knob. Does not include the element it is the actual spin on new replacement knob. 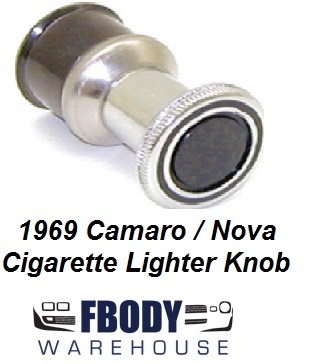 Correct reproduction chrome and black insert plastic knob with high temp material heating element seat as original.